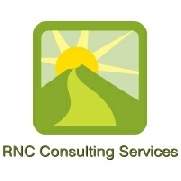 RNC Consulting Services provides consulting services specializing in human resources and loss control, including safety for employees and food safety. We serve a wide variety of industries and companies. Our specialties include serving clients in the agriculture community. We also specialize in workers compensation management, and employee relations. The company's clients are made up of agricultural growers, harvesters, packaging suppliers, wine producers, insurance brokers, staffing companies, labor contractors, household and other small employers, and other consulting firms throughout California. RNC Consulting is based in Santa Maria on California's Central Coast. To not only assist our clients with maintaining compliance, but first and foremost, help them excel with a safe, healthy and happy work environment for their employees. Additionally, to partner with our clients with a goal of controlling costs and providing real value to the bottom line.